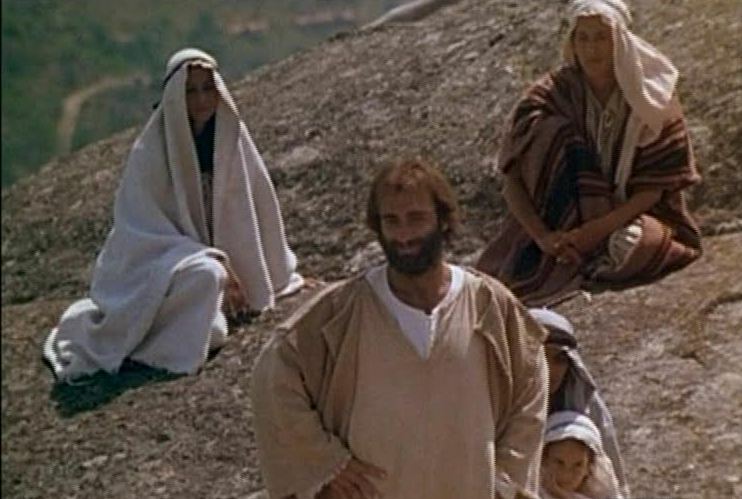 Jesus teaching the sermon on the mount. Evil done in the name of Jesus is infinitely evil. Yet that is what has been happening since about the 5th century when the Roman emperor Constantine ‘converted’ to Christianity and made it the religion of the state. The sword and the cross merged into a very unChristlike nightmare which has been used to control people for centuries. What is so stunning is that Jesus is the antithesis of Christendom. His teachings are clear: love your enemies, pray for those that persecute you, turn the other cheek… He didn’t just teach this, Jesus Christ lived His teachings. When the guards came to arrest Him in the Garden of Gethsemene one of His disciples (Peter) drew his sword and cut off the ear of one of the guards. Jesus responded by admonishing Peter and then healed the ear of this solider. He washed the feet of his disciples including the one who would betray Him the night before His arrest. Most memorably Jesus when dying on the cross for our sins prayed for those who had nailed Him there, “Father, forgive them for they know not what they do”. Jesus is God with skin on the Bible says He is the Word become flesh that dwelt among us and is the exact representation of God. God came to earth in the most unsuspecting way, as a baby in a manger, born into poverty … He lived his adult life as a homeless man healing and loving all who came to Him. His way of victory was to pay the payment for our rebellion and unbelief Himself on the cross not to put a sword to the throat of unbelievers and say “believe or die”. This sermon series given by Greg Boyd to his church in 2009 cost him 1/5 of his church membership. It is entitled The Cross and the Sword. It is unfortunately a radical message to today’s church that has confused Christianity and patriotism to America. I challenge you to listen. It may just shift your paradigm to line up with the heart of God expressed in Jesus Christ. Greg questioned the slogan “Taking America Back for God” by discussing the differences between the kingdom of this world and the Kingdom of God. As Christians, we are to belong first and foremost to God’s Kingdom. The Cross and the Sword series continued with this sermon, which covered the final effect of failing to distinguish between the kingdom of God and the kingdom of this world: we Christians begin to see ourselves as the “protectors” and “fixers” of social morality, as the moral standard bearers. But our only job as the body of Christ is to look like Jesus, the one sinless human, who stood in unity with others and met their needs. Greg also addressed the idea that America is a theocracy. Human beings have deep and fallen passions that propel us into continual conflict with one another, the theme behind “Troy,” the movie based on Homer’s “Iliad.” We are stuck in a pattern from which we can be freed ONLY by embracing the paradoxical kingdom of God. Christians are to imitate Christ, period; we are not called to create another version of the kingdom of the world. The Path through Politics Is Not the Road to God When the kingdom of God is manifested, it will wear the face of Jesus Christ. And that, says author Gregory Boyd, has never been true of any earthly government or power. Through close examination of Scripture and lessons drawn from history, Dr. Boyd argues that evangelical Christians who align themselves too closely with political causes or declare that they want to bring America back to God are actually doing harm both to the body of Christ and society in general. Boyd shows how Jesus taught us to seek power under kingdom, where greatness is measured by sacrifice and service. There are no sides or enemies because we are meant to embrace and accept everyone. In The Myth of a Christian Nation, Dr. Boyd challenges readers to return to the true love of Calvary and the message of the cross.